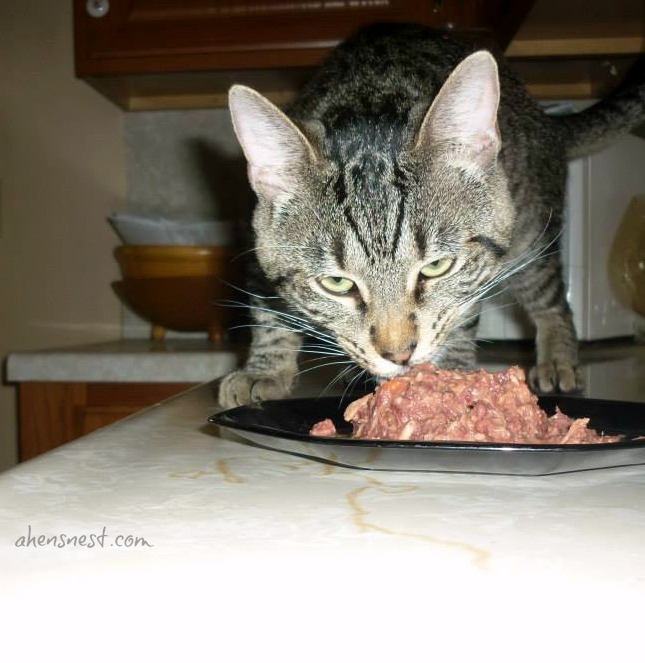 Steve has really enjoyed his Meow Mix® Tender Centers Salmon & Turkey Flavors with Vitality Bursts. Wanna know how I’m absolutely sure? Because my Snarfling Hog managed to eat an entire 13.5 pound bag of cat food in less than 4 weeks. That’s in addition to his twice a week container of Meow Mix®Tender Favorites Real Tuna & Whole Shrimp in Sauce. Know what we’re not out of? Fresh Step® Fast Acting litter. I’m used to changing litter out completely if you can still smell it after scooping. In the past, this has meant a complete change out of litter every 3-4 days. A box lasted maybe 2 weeks. 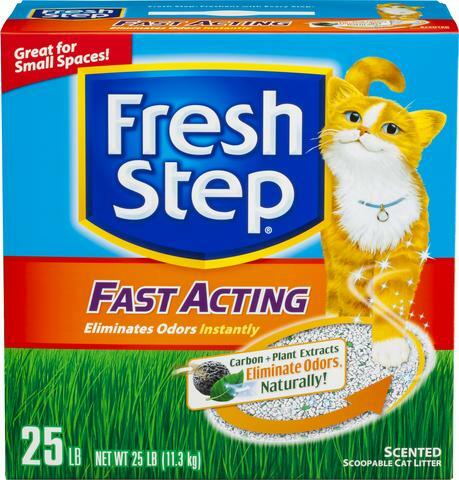 Fresh Step® Fast Acting litter’s natural carbon and plant extracts really do act fast to neutralize odors instantly. The 25 lb box, available only at Walmart during the promotion period, has lasted a month. And, it’s still going strong. Both Meow Mix Tender Centers® Salmon & Turkey Flavors with Vitality Bursts & Fresh Step® Fast Acting litter are available at Walmart, & I will definitely be picking both up this weekend. 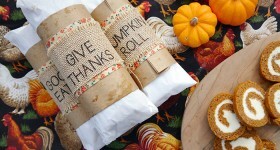 Food Steve loves, litter that I love, & the convenience of Walmart make for a much easier life for both of us. You can check out what other blogger’s cats have to say, and keep up with all the related news, by visiting Walmart’s Fresh Step and Meow Mix site. Tell me what your kitty likes to do, for a chance to win a $25 Walmart gift card – perfect to stock up on your cat’s favorite Fresh Step and Meow Mix! To enter, just leave a comment on this post asnwering this question: What is a day in the life of your kitty like? For an extra entry, tweet this message and then leave a comment with the tweet url. The giveaway is open to US residents age 18+ and will end on June 8th, 2014 at 11:59pm EST.Winner will be chosen by a random draw and will be contacted via email. Winner should reply to notification email within 48 hours, or a new winner will be chosen. Gift card provided by IZEA. Good Luck! 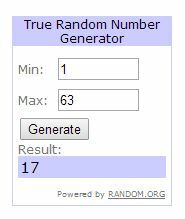 Random.org chose Comment #17 as the winner! Congratulations, Sarah! My cat is very strange. First he sleeps until the afternoon, and then he goes over to spend some time at the neighbors house because they have a cat over their and he sits with it and plays. He hardly stays at home! Only to eat and sleep!! My cat loves to run around all day. He plays with his toys a lot. A day in the life of my kitty involves playing with toys and laying around on the sofa. Steve is so cute. 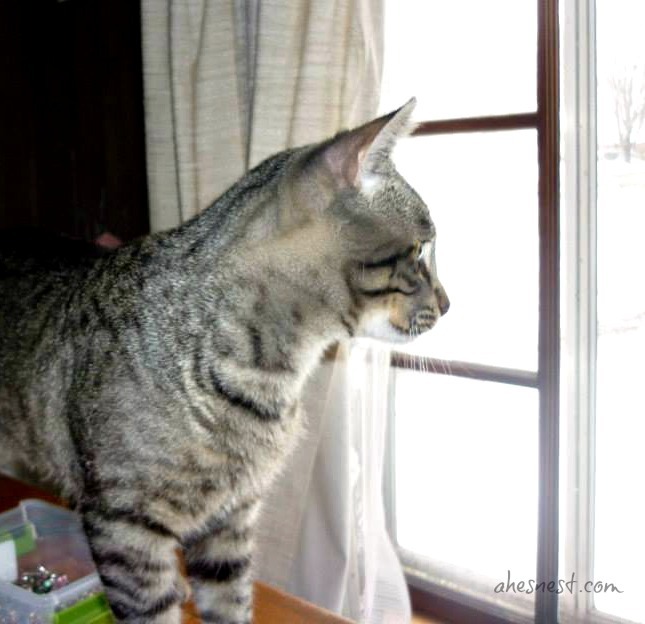 I wish I had a cat…..
No cats, just want to win the gift card! My cat spends his day sleeping, eating and sitting on my lap. He likes to spend a lot of time sleeping on his favorite blanket. Thanks for the chance to win! My kitties currently alternate between chasing a peacock feather, a milktop ring and a stuffed rat around the house. then they sit in the window and watch the bird feeder and nap for a few hours. My cat, Simba, sleeps on my tummy every night and he gets up with me in the morning. He is basically my shadow…even when I go to the potty! My kitty sleeps all day,and roams the house all night teasing the dogs! I used to have a cat that was obsessed with stealing drinking straws. I don’t have cats but wished I did. But my friend does and her cat plays with toys and lays around a lot. My kitty has a pretty lazy life. She sleeps, struts around the house and sleeps some more. My parents have a cat that is 14 years olf. Her name is Kiwi, a long-haired calico. A day in her life consists of mainly sleeping at this point; she can usually be found under her favorite bushes outside, or in her bed in their garage. A day in the life of my cats would be chasing one another (we have three!! ), belly rubs, and long naps. My cat loves to sit on my front porch and sleep. My moms cat just sleeps all day. She will eat in between her naps, but generally you can find her on one couch and then the other. She moves from couch to couch. Lazy cat. My cat loves to run outside all day. He never wants to come inside. Im not sure what he gets to do for his every day adventures! He loves to eat his crunchies, chase the laser light and nap, He sleeps with me and has a really loud purr. I don’t have a kitty right now, but my last one Bart, was a thief! He would steal anything he could find – keys, pieces of paper, recipe cards left on the counter. Even when I moved I didn’t find his stash. I can’t wait to get another cat. My cat lives the stereotypical cat lifestyle. Finn likes to sleep all day and play all night. If he doesn’t get his loves exactly when he wants it he jumps on my kitchen counter and starts knocking things to ground. Recently he has started trying to sit on my shoulders while I’m at the computer but he’s so fat that it isn’t working out so well. My cat eats in the morning. She usually lays around most of the day but will come out once in a while to rub up against someone. She also likes to take a couple drinks out of the bath tub faucet throughout the day. Thanks. I don’t have my own cat. We have a grey neighborhood cat that likes to warm itself on the culvert behind the houses. It visits at least once a day on the back porch for a head scratching and a treat. my cats wait outside my door to wait for us to wake up then the nudging begins so we know our kitties are hungry. Then they sleep all day until right before i’m about to go to bed the two cats usually play fight for a bit and then sleep some more. My cat likes to sleep, eat, and run around outside.